“Take out your artist’s finger!” said the music teacher as she picked up a large piece of paper with unusual markings on it. This is a typical dialogue that I have with my 2-year-old classes. We usually continue on with different shapes like wavy lines, zigzags, and squiggly lines. How can wavy lines, zigzags, and squiggly lines be musically beneficial? 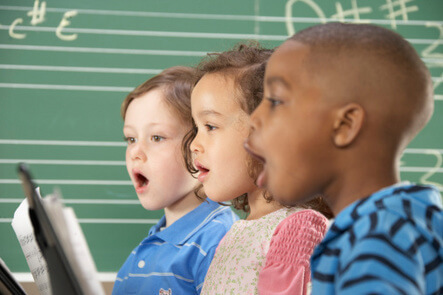 The rise and fall of a wavy line allows the children to explore their entire vocal range. Long lines convey a continuous sound while polka dots evoke short, articulated sounds. Associating certain sounds with the images they see are actually introducing them to basic notation reading. Being completely free to make up silly sound effects helps them to be creative! For example, the wavy lines can sound like a siren one day or a buzzing bee the next day. No words are necessary! This form of “reading” is inviting to the young ones who aren’t able to speak or form sentences yet. When your child is learning to use a marker/crayon/pencil, you can both create your own artwork together and assign different sounds to the pictures. Now take away the classroom environment. 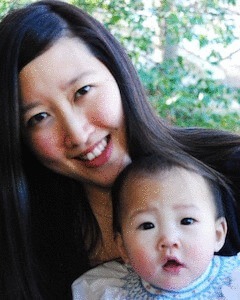 You are reading the paper in the family room and your little one toggles over and reaches to touch your arm. His eyes say it all. You smile and turn to the business section of the paper where there is a colorful graph of the stock market’s performance. You fold your arms around your son as he snuggles in your lap. You take his finger and encompass it in your hand. You guide his finger along the graph’s bumpy, sharp lines. Cheers to being silly and making an everyday moment into a musical one!